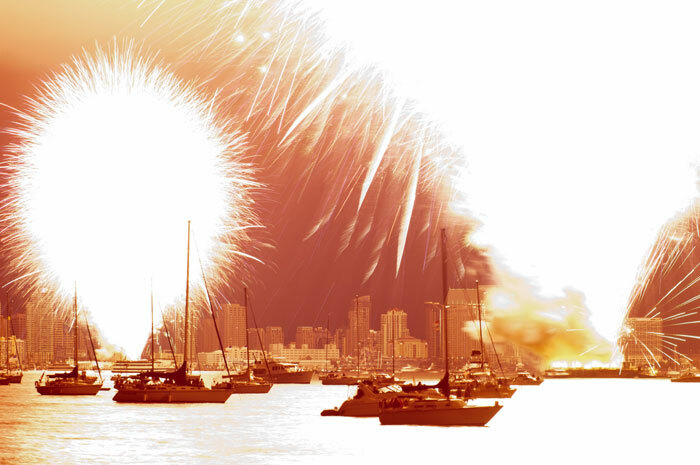 SAN DIEGO (AP) — This year’s Big Bay Boom Fourth of July fireworks show on San Diego Bay was over before it was supposed to start, after a malfunction caused the display that was planned to last nearly 20 minutes to burn up all at once. The Coast Guard said the mishap occurred minutes before the scheduled opening of the Big Bay Boom show. Coast Guard spokesman Rich Dann told U-T San Diego he has never seen so many fireworks go off at one time. The San Diego Fire Department reported there were no injuries. Hundreds of thousands of people witnessed the short-lived spectacle.